Hi, I’m me and this is my first Clash Royale strategy guide to a deck that has helped me get to arena 10 at just lv 8. It’s very versatile and can counter elite barbs very effectively. You have to be very patient with this deck so it’s not for everyone. Giant skeleton – Your tank, and one of your win conditions. Very useful offensively and defensively because of its bomb. It is very easily distracted but if you gain a big elixir advantage and can get it to the tower it can deal massive amounts of damage. It is a very underused card. This is good because it allows you to catch your opponents by surprise when you deploy it. Skeleton army – Your main elite barbs counter. Although it is zappable, it isn’t necessarily a bad thing if it’s zapped. This is because it allows you to get in a counter push with your goblin barrel or minion horde when they dont have their zap. Only use it to defend against things other than elite barbs if you’re confident they aren’t using elite barbs. The Log (If you don’t have it use arrows)- Your only spell. Don’t waste it as it is one of the two splash damage cards in your deck. It is very useful defensively as it can get massive value. If your opponent always counters your giant skeleton with cheap cards you can play a prediction log to get him/her to waste their elixir playing new cards. Ice wizard (baby dragon is a good replacement) – your second form of splash in your deck and your only form of air splash. If your enemy has minion horde you’ll be in for a lot of trouble with only ice wizard to counter it. but i find minion horde users are very rare at my trophy count. Minion Horde – Very good zap bait but a bit pricey. If you are really desparate to bait their zap you can use it, but I prefer using it when their zap is already baited. It is also useful defensively as a tank shredder, but be wary of splash. Spear goblins – Very versatile. Use them offensively AND defensively as a cheap damage card. You can also use them on their own to get in a bit of chip damge. When placing them unsupported you can try placing them in the back. This gives your opponent plenty of time to react to them and sometimes they zap them. If they zap them it allows you to get in a huge amount of damgae with your goblin barrel. Inferno tower – Your defensive structure. I use cannon instead but only because i have low level inferno towers. They are interchangeable imo. Using them is very simple, just plant them in the kill zone to defend. Pros – Effective in both high and low arenas. Giant Skeleton (at the bridge) + Goblin barrel (The staple combo of your deck) – Use this when you have baited out their zap. Try to get the tower to lock onto the giant skeleton. This combo is where a lot of my damage come from. Play the giant skeleton at the bridge. Giant Skeleton + Minion horde – This combo costs 11 elixir so use it when you are at an elixir advantage. You will need to place the giant skeleton a bit further back (I like to place it next to the crown tower) so your elixir will build up to be ablt to afford the minion horde in time. Ice wizard + Spear Goblins – Use this when you have just defended with your ice wizard and you wish to turn it into a cheap counter push. this combo can deal a surprisingly large amount of damage. Spear goblins + goblin barrel – A cheap attacking combo that can pressure your opponent and deal chip damage. Not really much to say about this one. Goblin barrel + Minion horde – VERY RISKY – use it when their splash is out of cycle and it can take towers. I hope you guys enjoyed this guide, I worked hard on it and i hope you guys enjoy this Clash Royale strategy! 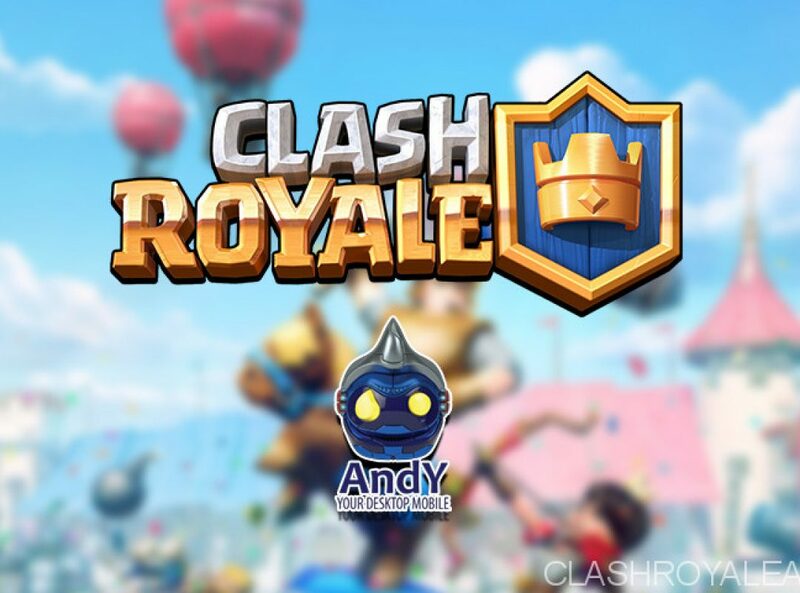 Hey guys it’s me here for my first ever guide on Clash royale! This deck is the deck I am using in legendary arena. It counters the current meta very well. It does contain 3 legendaries, with only one being easily replacable. I successfully pushed 600 trophies in 1 & 1/2 hours. I hope you can do the same. So , without further ado, let’s get started! Lava hound : The lava hound is very strong in the current meta. It tanks for heavy damaging troops and the lava pups can also do a lot of damage. The lava hound is used best by having it tank for other troops. Never send a lava hound alone! Inferno dragon: The Inferno dragon is underrated because it can take out tanks like giant, lava hound, and the dreaded royal giant. If it locks on to the opponent’s tower they can say goodbye to their tower. You can use him behind the lava hound. Graveyard: The graveyard is one of the best cards in the game. The graveyard is good because it has the same pros as the skeleton army while having almost none of the skeleton army’s cons because it spawns skeletons continually instead of all at once. Baby dragon: The baby dragon is a very underrated card because it fits well in most decks with splash damage, decent health, and the ability to target both ground and air. It can also take care of those annoying minions that your opponent uses to counter you graveyard or lava hound. Skeleton army: The skeleton army is good in the meta because it counters elite barbs, royal giant, and graveyard. It has very high DPS and can shred any tank. It is only 3 elixer and offers huge value. Use it to counter hog also but watch out for zap! Fireball: The fireball offers value because it can severely weaken the mega minion and/or musketeer used to counter your lava hound, allowing your other troops to finish them off. It can also give value trades by hitting archers and minions used to counter your lava hound. Zap: The zap is the most versatile card in the game because it will kill skeleton army used to counter your graveyard to spear goblins used to counter your lava hound to resetting the inferno tower/dragon used to counter your hound. It can also severely weaken minions. Minions: Minions are very good because they can do tons of damage to lava hound, royal giant , etc. They also counter graveyard very well. Pair them with a lava hound and your opponent will spend tons of elixer defending this. Inferno dragon-Mega minion: The inferno dragon and the mega minion are similar because they are both high-damaging air units. The inferno dragon is better on defense but mega minion is better on offense because it will kill musketeer and mega minion. Use mega minion if you don’t have inferno dragon or if you prefer mega minion but I recommend inferno dragon. Graveyard-Miner: The miner is the best replacement for the graveyard because miner works well in a lava hound deck. It is not preferable because graveyard does more damage but it can be used. Only do this if you don’t have graveyard. Minions-Minion horde: Minions can be replaced with minion horde if you want more power. I do not recommend it because the deck is already expensive and minion horde is more vulnerable to arrows and fireball. Your plan is to go defensive from the start. You have plenty of options. If he plays Royal giant counter it with inferno dragon/minions. Counter elite barbs with skeleton army. Graveyard can be countered with baby dragon/minions/skeleton army. Hog Ice golem is counter with minions placed on the hog. Lava hound + minions: Just a simple push to start off the game or if your opponent just used a lot of elixer. It is a decent push, but it can be countered easily by musketeer, mega minion, etc. Lava hound + graveyard: Just another simple push to do in regular elixer time. It will do good damage and it is a little harder to counter than lava hound + minions. It can be countered easily by minions and minion horde. Baby dragon + Graveyard: Another simple push but it is cheaper so you will have more elixer to defend if your opponent plays a card on the other side. It will devastate your opponent if he does not counter it so you will be a tower up (well, most of the time). Lava hound + Baby dragon + Inferno dragon + Graveyard: This push is the big push of double elixer. You place your hound at the back and play your inferno dragon in the same spot about 2-3 seconds later. When they get to the bridge play your baby dragon behind them and when a tower targets the hound (well, hopefully) play your graveyard. Well, this about sums it up. Remember to play patiently and defend until double elixer. When double elixer comes then it is time to build up your big push. I hope you liked my guide! Hey there! Jack Kumi here with my second Clash Royale strategy guide. Required: P.E.K.K.A. (All Levels) This robotic warrior (or a controlling barbarian) fiercely uses his black smooth sword with his strength, destructing solo troops one by one. Surprising that it got upgraded to resist x2 damage on electricity! This thing is your ultimate win condition, tearing down towers, but it will need support. Hey, Valkyrie, kill these skeletons! Also, it’s best to hide it until x2 elixir. Until then, learn his counters. Substitutional: Valkyrie (Level 4+) The axe legend who has an amazing talent of not throwing it when she stops spinning. She is famous everywhere when the Red Dead Head combo appeared in Arena Screens, like in New York. Anyways, these take on weak group troops that will help the P.E.K.K.A. aka Perfect Enraged Knight Killer of Assassins (I googled it) get to the enemy towers. However, we need more AIR. Substitutions: Bomber, Wizard, Ice Wizard. Substitutional: Minion Horde (Level 4) This flock of minions uses dark elixir that were put in testing at the Village Laboratory. These hit hard on towers if left unattended, but it won’t kill a full HP tower. This card in this deck is for DEFENSE, rarely offense. Substitutions: Minions. Required: Rage (Level 1) Any level will boost the P.E.K.K.A., strong enough to do hard damage. Raging this with P.E.K.K.A. and support=awesome destruction, unless fireball or rocket, but that is rare on my second account battles. Onward to next! Required: Musketeer (Level 4) These strong independent balloon-killers uses small iron balls and load a few, potentially acting like a walking cannon. If she wears iron, it’s a wonder electricity still won’t do x2 damage. These kill Balloons with no support easily. Substitutional: Skeleton Army (Level 2) You don’t want these pile of bones from the dead. These can kill Hogs, Giants, and other single-damage melee troops. Substitutions: Skeletons, Graveyard, Tombstone. At the beginning, do NOT place the P.E.K.K.A. immediately. If you do, he will always keep his counters at his hands for her, so don’t. Instead, play defense and a few offense to learn his defenses and tactics. Good Defense: Skeleton Army; Archers+Musketeers; Minion Horde; Skeleton Army+Minions; Valkyrie+Archers/Musketeer. Good Offense: Valkyrie+Archers/Musketeer, Archers+Musketeer. Counter-pushes: Valkyrie+Archers+Musketeer (or Valkyrie+Musketeer+Archers), Minion Horde+Musketeer. On x2 elixir, now that you have learned his tactics, place the PEKKA behind your King Tower. Then, counter with about 3-5 elixir only. When the PEKKA is about to cross the bridge, place in Valkyrie behind the PEKKA with archers and musketeer. Counter something with anything two times, and place Valkyrie and more. This will make the opponent worry and place everything he has. If he rockets, the PEKKA has a chance if she is at the tower with at least 1/2 of the HP. If he had successfully defended, you know he can defend another, so play defense for the rest of the game so you don’t LOSE any either. Inferno Tower: You can put a skeleton army or a Minion Horde in front of the PEKKA so the Tower only hits them. If you don’t like Fireball, get Lightning instead. All works. Hog Push Decks: If he always uses splash with his Hog, place a musketeer or valkyrie somewhere not touching your tower, so that the splash won’t hit the tower as well. If you are willing enough to give them a few hits, wait for the splash to lock onto the tower, then skeleton army/minion horde them. If Baby Dragon, just skeleton army+musketeer. Lava Hound Decks: When they reveal the Hound, use your Musketeer, Archers and Minions to try to take it out. If he uses splash as support, use Valkyrie as meat. Alright, don’t have a card that’s required? Go to the next one! Required: Giant (Level 4) This is in the ultimate combo in Arena 4 which barely anyone defended it when my main account was there. Since new cards came out, I’m try to talk about them. Anyways, this is mainly on defense before x2 elixir and offense while. These can take down about 1/2 HP of a tower if left unattended! Required: Giant Skeleton (Level 1) No matter the level, his death bombs are strong. He can wipe out an entire push if they are near the bomb, which makes it great. Before x2 elixir, I recommend just defend for a while. If you are greedy or if you know he’s bad at countering, try to push the GS at the tower. That way, the bomb will do more massive damage than a rocket at a tower. On x2 elixir, use the big push I will talk about later. Required: Balloon (Level 1) This is a small skeleton who was failing as a Bomber. Soon, he decided to climb on a balloon. Strangely enough, his bombs explode with more damage than the bomber can. This air card is also in the combo. Basically the first three are in this deck’s combo. Even before x2 elixir, you should sometimes try to reach the tower with Giant+Balloon. Not much counters this at Arena 4, so it sometimes works. Required: Barbarians (Level 4) These yellow-haired warriors aren’t kidding with their mustaches. With their mighty sword, they chop and slice troops. Use this to counter the Hog if you want, even if it’s a negative of 1. If you don’t get it, it means a negative elixir trade of 1. Anyways, this is recommended on defense, but offense is accepted. This and the Minions/Skeletons are your two main defenses. Required: Hog Rider (Level 4) The hammer holder hits towers on his quest for no more buildings of any sort. This rider is mainly on offense, no defense. Try to get these to the tower, or just add a little 4 elixir into the combo. When the game starts, have the enemy start first. Then try to counter. If you have the bad hand (Spell, Spell, Balloon, ??? ), then just use a medium damage spell if it is a tough one and then defend. Do some offensive plays. This is a good play before x2 elixir. When it’s x2 elixir, cycle to Giant, Giant Skeleton, Balloon, Spell, then place the giant behind the king tower. Choose a lane. When you place the giant, another card has filled in the Giant’s spot. It’s either a spell, Hog, or defense. If it’s a Hog, save it. If it’s any other card, defend. When the Giant is about 2 tiles away from the bridge, place the Giant Skeleton behind the Giant. The OP push begins when you place the Balloon behind all giants. Use the Hog if you would like behind the Giant, also. If the opponent has an inferno, place Minions in front before you place the Balloon. With this, you are applying pressure to the opponent, in which he will worry so hard that he will throw anything, but then you cycle to the next Balloon. If he actually defends, go for the other lane. If all else fails, defend in Overtime. So that’s it. If you want to ask any questions, email me at davidomegalala@gmail.com. See you in the Arena! Secret: The hog can kite the Mini Pekka from the King Tower. When the Mini Pekka is near the middle line and 5 tiles away from the King, place the Hog on the opposite side of the MP. It will kite and your arena and king tower will kill it easily.